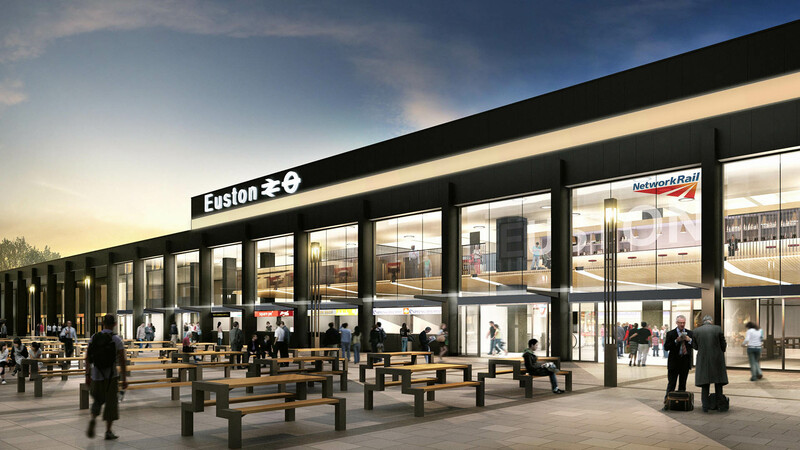 WORK AT EUSTON STATION WILL TRANSFORM THE EXISTING CONCOURSE AND RETAIL BY RESTORING THE ELEGANCE OF THE MAIN CONCOURSE AND INSERTING RICH MATERIALS TO INCREASE RETAIL REVENUE. THE PRACTICE DEVELOPED A COHERENT LANGUAGE FOR THE STATION WAYFINDING AND RETAIL SIGNAGE AND ADVERTISING, ENSURING INTEGRATION TO THE ARCHITECTURE. Improvements to the passenger experience will be provided by better connection between internal and external concourses, simplifying routes to the platforms and improving passenger information. An increased lettable area is provided by the addition of a mezzanine deck, offering premium food and beverage. 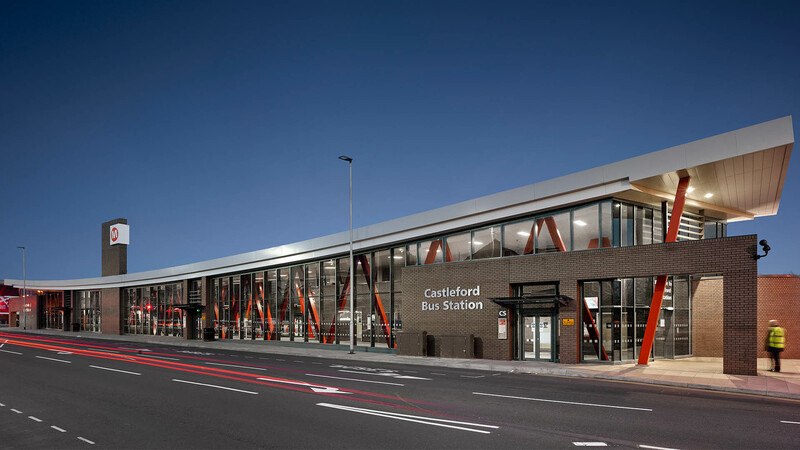 The structure complements the crispness of the original design and improves the wayfinding and passenger flow. 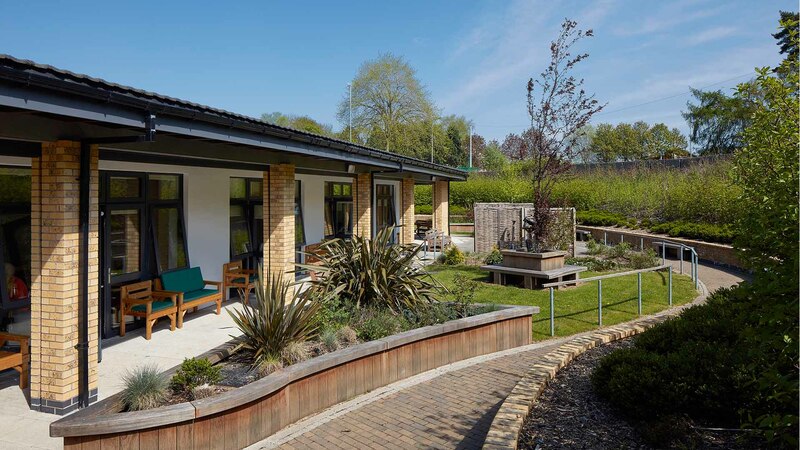 The masterplan allows for discreet work packages to be installed within a live operational environment. 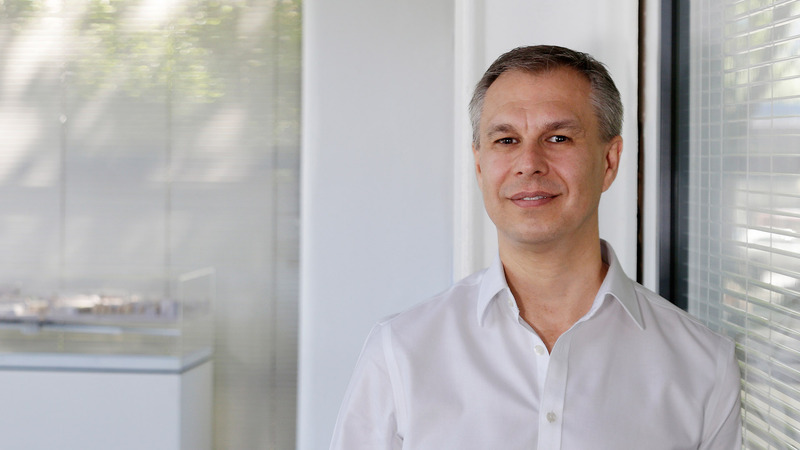 The work draws on the Practice’s expertise in transport retail and has demonstrated how the built environment directly affects passenger behaviour and retail income. The station and its environs were scanned into BIM format to give the design team a detailed 3D Topographical Survey of the existing building. 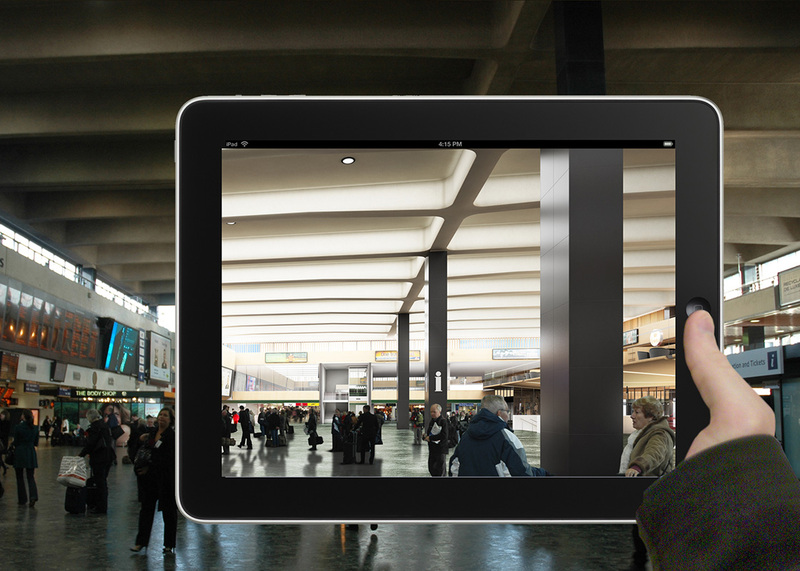 The Advanced Design Group carried out studies to determine the impact of an added mezzanine to visibility in the concourse. The studies also explored the visibility of particular advertisement boards or advertisements on a particular wall. 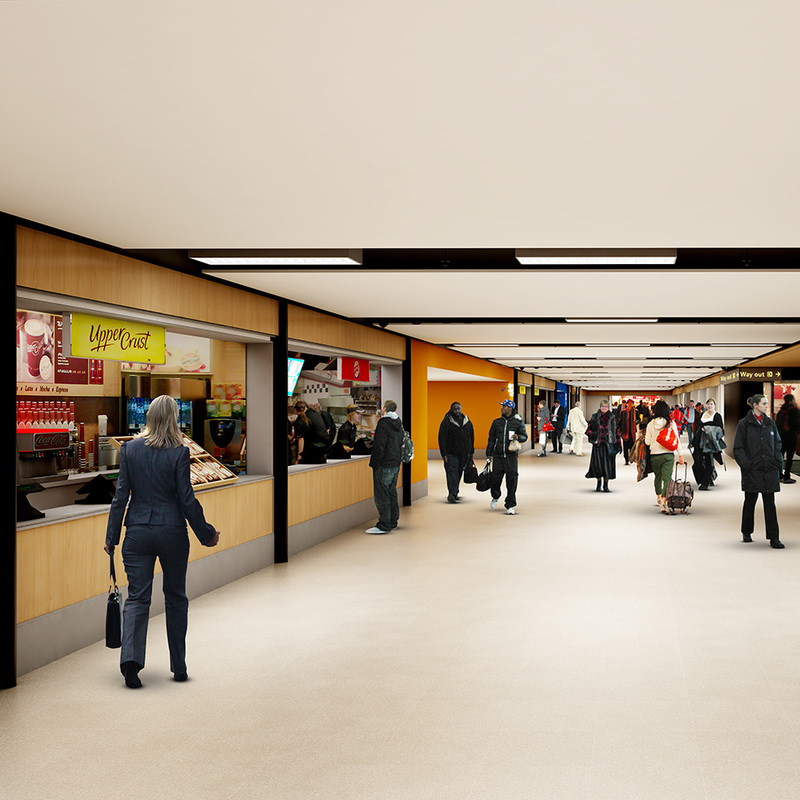 The proposed mezzanine was included along with a pair of existing shop blocks. The proposed mezzanine was included without the shop blocks. The mezzanine was excluded but shop blocks were included. 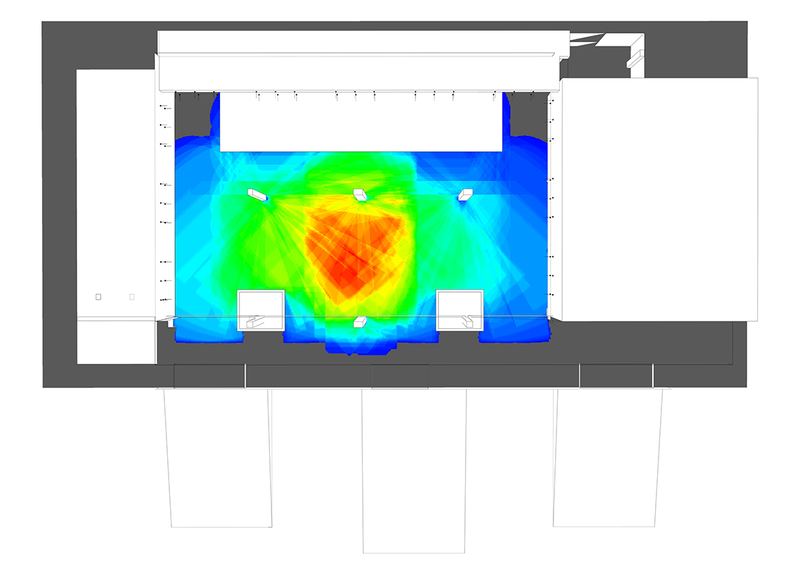 Results showed that the mezzanine had a much lesser impact on the visibility than was originally expected and informed the design of its impact on its operational context.